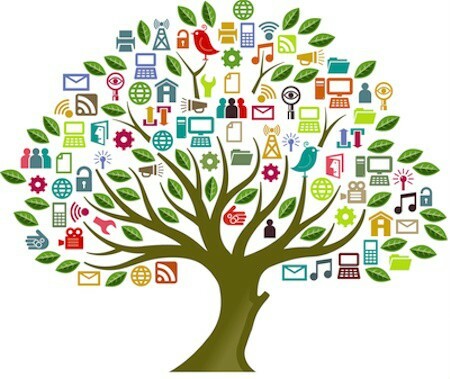 Closing the Digital Gap – Look, no hands! Does anyone remember “Wireless Philadelphia” from 2004? It was a city-wide initiative that provided wi-fi throughout the entire city, essentially treating internet access like a utility. A nonprofit org oversaw the project, which lasted about 4 years. It sounds likes a pretty solid plan. Provide internet access ANYWHERE in the City through one provider. (Think of how much you’d save on your data plan, alone.) But, the larger ISPs were not impressed with Wireless Philadelphia because they began to lose out on a pretty large chunk of change. So, after some heavy lobbying, and other financial issues, Wireless Philadelphia signed a deal with Earthlink to provide internet access and an infrastructure. But, it wasn’t fast or reliable, and despite the cost, they weren’t providing access to the intended number of users they though that they would reach. After four short years, Wireless Philadelphia closed up shop. Ok. So, where am I going with this? I’m wondering if this simple attempt at internet access for all could actually be the solution to closing the gap between the internet haves and have-nots. $20 for internet access, ANYWHERE. Mount a transmitter on every stoplight, streetlight and mailbox. It seems like this would help to close the gap and provide internet access to all, despite income level or location. It would be interesting to see if someone could try and pilot a similar program in a more rural area. 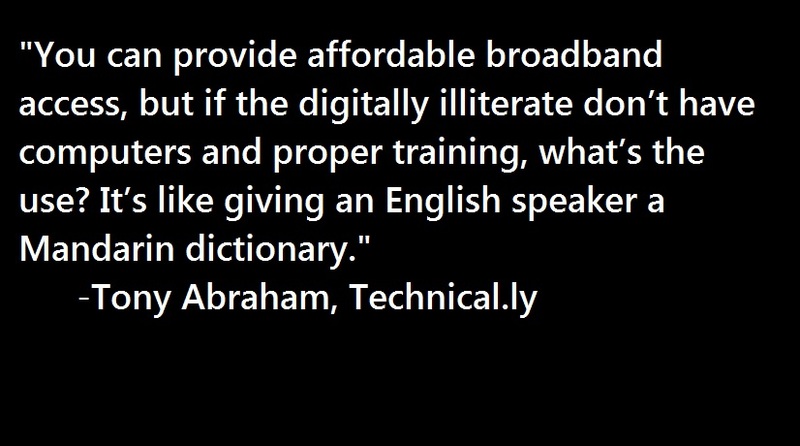 Of course, as stated by technical.ly, you can provide internet access, but if you don’t provide education, you’re basically giving the gift of fire to a slug. Previous Previous post: Social App or Socio App? Next Next post: I’m almost done talking about Ashley Madison…I promise.